We would hope all will understand that this editor's loving wife Cyndi Cain must be PRIORITY ONE right now. For the last several weeks it has been touch and go with Cyndi's condition. She has her good days and her bad days, and continues smiling through it all. She is a trooper who never says die nor is she ready to die, but she does need constant care because she has come close to giving up the ghost a few times since she's been home, as her husband, this editor has written previously. Because she is my top priority I have been advised by my traditional spiritual advisors to focus all my attention on her and I fully agree with that direction for she has been the love of my life for nearly 33 years and needs my help in things we both previously took for granted. As bills mount up into the thousands, I have no choice but to leave that in God's hands and hope the readers will be generous in helping in anyway they can. Those who have contributed we are eternally grateful, but it has been a pittance compared to how backlogged we are in needed funds. You can help by clicking on the Cyndi's Angels button above. Also, because of the situation above, we have posted an abbreviated edition from the feast of my patron saint all the way through All Souls Day, thus spanning from the end of September to the beginning of November, giving me ample time to devote fully to my wife's needs. You'll note most of this edition is focused on the daily liturgy, devotions and inspiring reflections, a priority the DailyCatholic has always emphasized. I leave the day-to-day happenings in Modernist Rome and Corrupt D.C. to the two most reliable and respectable sites we can recommend: Christorchaos.com and NovusOrdoWatch.org. 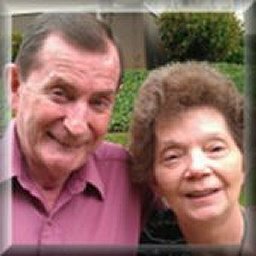 I also encourage you to TraditionalCatholicSermons.org for daily audio inspiration as well as divine Revelation from the Douay-Rheims Bible at DRBO.org For each of the next five weeks, click the link immediately below. September finishes up with the feasts of the Dedication of Saint Michael the Archangel and we encourage you to read the Complete Prayer to St. Michael composed by His Holiness Pope Leo XIII, part of what you see above in the headline for Leo foresaw this time of the Great Apostasy, and we pray more Catholics will wake up and realize he wasn't just whistling Dixie, but knew whereof he spoke and prayed. Say the short Prayer to St. Michael the Archangel as often as you can to fend off the demons who prowl throughout the world, seeking the ruin of souls. This feast supersedes the 20th Sunday after Pentecost, but John Gregory provides the Haydock Commentary "Unless you see signs and wonders". Monday we celebrate the feast of the holy Bishop and Doctor of the Church St. Jerome. Every Protestant should realize that this Father of the Mother Tongue was the one who compiled the Bible even though such divine revelation was passed down by word and tradition through three centuries prior. 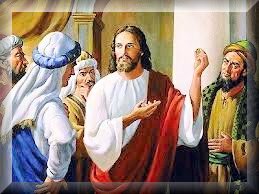 Think about it and realize Jesus established the Catholic Church upon the Rock of Peter and only that Church, no other!!! This is Rosary Week with Monday being the feast of the Most Holy Rosary of the Blessed Virgin Mary with a beautiful reflection by the renowned Benedictine Abbot Dom Prosper Gueranger on The Lasting Magnificence, Grace, and Power of the Holy Rosary. 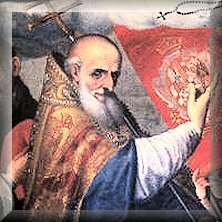 It was established by Pope St. Pius V after Don Juan of Austria's miraculous victory over the superior forces of the infidel Turks in the Gulf of Lepanto. This feast is followed immediately by the feast of St. Bridget of Sweden and we encourage you to read the approved Prophesies and Revelations of St. Bridget of Sweden that we have thus far posted. Two more confessors are celebrated this week with Wednesday's feast of St. John Leonardi and Thursday's feast of St. Francis Borgia, one of the few good guys from that clan. We complete Rosary week with the Divine Maternity of Mary on Friday with the Haydock Commentary for this Mass provided by John Gregory Honoring Θεοτόκος (Theotokos) complemented by Dr. Thomas A. Droleskey's inspirational piece Theotokos - Θεοτόκος. The final day of the week is the traditional feast of Our Lady of Pilar on the observance of the Blessed Virgin Mary on Saturday. Of course, just as the devil apes God so we see how the apostates dared to ape the Mother of God by opening the damaging Second Vatican Council on October 11, 1962 - fifty-one years ago. Oh, if only the bishops and cardinals at the time truly knew their faith and were dedicated to their vocation they would never have approved of any of the dangerous schemas that were foisted on the faithful. They will all have to answer to God for their grave errors and so will every soul out there who knows the Faith and yet chooses to compromise with the world, the flesh and the devil. We particularly target those who should know: the "Recognize-and-resisters" who have been treading water long enough. Now with unFrancis spewing heresy like he's on TMZ, isn't it about time they fessed up and admitted that the sedevacantists have been right all along. After all, you cannot grow a healthy tree from rotten roots just as Jesus affirms in St. Matthew 7: 15-20. 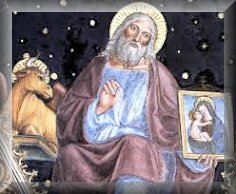 It's time to get off the fence and either follow unFrancis to the edge of the abyss or call a spade a spade and publicly castigate him for what he is: an antichrist 'pope' in the mold St. John the Evangelist identifies in his epistle. This year we reach the 96th anniversary of the final apparition of Fatima. We are a mere four years from the centennial and can only say "if only". If only the true Popes had consecrated Russia to Mary's Immaculate Heart, Vatican II would never have happened. Communism would be suppressed. Terrorism would be at a minimum and Roe vs. Wade would not have seen the light of day, though perhaps a billion would have seen the light of day and breathed, something the aborted babies never had the chance. With contraception and abortion the number of souls is unknown but God knows and that is going to be a shock to those who in any way were complicit in the slaughter of the innocent in the womb. Had Fatima been fulfilled as God so ordained, the Great Apostasy foretold in Sacred Scripture would have been delayed. But in reality, all that Mary warned of has come about and it is left to the faithful remnant to keep the Fatima Message alive so that God will work a miracle to return His one true Church to its glory and rid forever the Modernist apostates who have eclipsed the Mystical Bride of Christ. Pray daily The Fatima Prayers to the right because, after all, we know Mary will keep her promise that "in the end my Immaculate Heart will triumph", but she needs our help to hasten that glorious event first promised in Sacred Scripture (Genesis 3: 15; Apocalypse 21), and at Quito, and finally at Fatima. John Gregory provides the Haydock Commentary for the 21st Sunday after Pentecost and there is a commemoration of the holy English King St. Edward the Confessor. 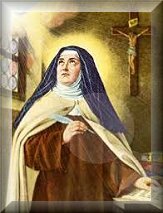 One of the saints who would not put up with the skimble-skamble syncretic salad tossed around by the heretical hierarchy of the CONciLIAR church was St. Teresa of Avila whose feast we celebrate on Tuesday, with the feast of the holy widow St. Hedwig on Wednesday and the feast of St. Margaret Mary Alacoque on Thursday to whom Our Lord imparted Devotion to His Most Sacred Heart and the Twelve Promises of the Sacred Heart. Friday is the feast of the holy Evangelist St. Luke and Saturday we celebrate the feast of another Spanish saint St. Peter of Alcantara. October 21 CommemorationSt. Hilarion, Ab. This fourth week of October could definitely be considered a Feria Week with five of the seven days devoted to the Sunday liturgy for the 22nd Sunday after Pentecost. The theme is appropriate as emphasized in the Haydock Commentary provided by John Gregory, which is "Render to God the things that are God's" and this is so pertinent in these times when Caesar is demanding more while doing all in his power to eliminate God from the equation. We've seen the most recent in the line of antichrist 'popes' publicly proclaim that atheists (you know, those who don't believe in God) have no worries. They can go to Heaven if they're good guys. Same goes for Muslims, Buddhists, Freemasons, you name it. Just be good guys; no need to convert to Catholicism. A far different cry than what Christ mandated is it not? But then Caesar, whether he be in Rome or D.C. or Moscow has no intention of rendering to the Almighty what is rightfully His. Our country, yea, the world needs healing. 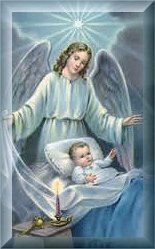 The Rosary is our vaccine to ward off the demonic disease that infects mankind more than ever and this week we honor the angel of healing St. Raphael the Archangel, the only major feast this week before next week's plethora of feasts. This week is bookended by major feasts beginning with the last Sunday in October as the Double of the First Class Solemnity of Christ the King Sunday in which we remind you of its importance as decreed by His Holiness Pope Pius XI in his encyclical Quas Primas. This day is also when all the faithful renew the Sacred Consecration of the Human Race to the Sacred Heart of Jesus followed by the Litany of the Sacred Heart and Benediction. Those in the state of Sanctifying Grace, by making a good Confession within eight days and worthily receiving Holy Communion, receive a plenary indulgence in praying the Consecration. We also encourage you to read Dr. Droleskey's inspirational and poignant essay I Will Reign in Spite of All Who Oppose Me. 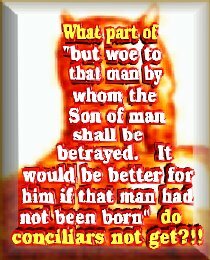 John Gregory provides the Haydock Commentary for this feast in Uncompromising Loyalty to our King. 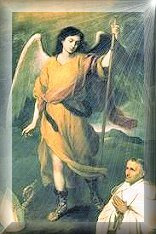 Though the 23rd Sunday after Pentecost is superseded, John also furnishes that Haydock Commentary as well with "Thy faith hath made thee whole" for the Sacrament of Penance is the divine infirmary for healing souls. And speaking of healing, we all know we are living in hopeless times and Monday we celebrate the saint invoked for hopeless cases St. Jude Thaddeus paired with the other apostle St. Simon, both martyrs for the faith. Are we prepared to also give our lives for Christ and the only faith He established upon this earth? If we are to be included among the saints on All Saints Day, which is also the First Friday of November this year, we must be willing to give everything for Our Lord no matter the cost. That is also our role, yea, our duty as members of the Church Militant. As such, we owe it to the Church Suffering to pray for the poor souls and holy Mother Church provides a plenary formula for releasing souls with the Toties Quoties Indulgence from noon on All Saints Day through midnight of All Souls Day the Catholic faithful, as often as they visit a true chapel or church where Christ is truly present in the Blessed Sacrament, and pray for the dead by reciting six times the Our Father, Hail Mary, and Glory Be, may gain a plenary indulgence applicable only to the souls in Purgatory. This is, of course, under the usual conditions of making a good Confession to a true priest within a week before or after worthily receiving Holy Communion within the week and having the right intention of heart. All through November we pray the De profundis Prayers for the holy souls. We also encourage you to read Dr. Droleskey's piece that sets the tone for November with Suffering is the Only Path to Triumph. We also highly recommend two poignant pieces by Fr. Paul O'Sullivan written well before Vatican 2 that are stunning wake-up call for all in Read Me or Rue It and How to Avoid Purgatory.